Democratic donors and political operatives in Iowa and around the country are holding off on throwing their resources behind a candidate for the 2020 presidential primary until they find out whether Rep. Beto O'Rourke plans to run, reports Politico. The big picture: The hype surrounding the charismatic Texas congressman — who raised a record-breaking $38 million in the third quarter of 2018 before narrowly losing to Ted Cruz in the Texas Senate race — has reportedly been enough to spook donors from going all in on another candidate. 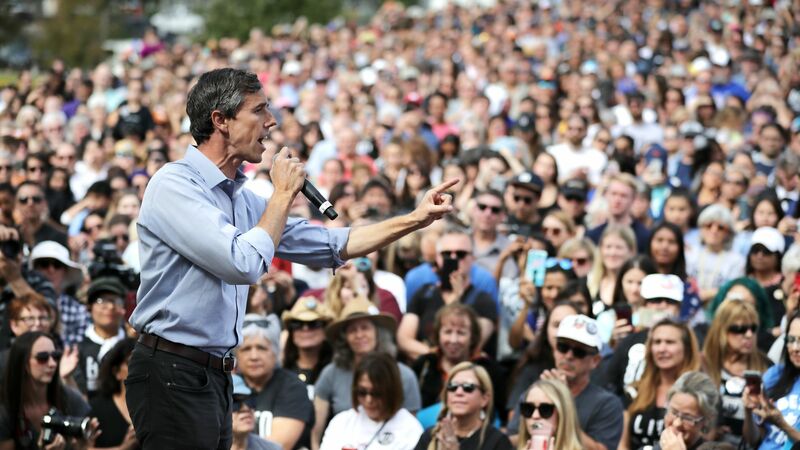 O'Rourke has not yet declared whether he intends to run in 2020, but is expected to join a packed field of Democratic candidates if he decides to do so.